Completely isolated from the rest of the world for a good part of the twentieth century thanks to a communist dictator, Albania is still getting back on its feet, so on our trip to the Balkans, this emerging, mostly undiscovered country was one of the destinations we were looking forward to most. 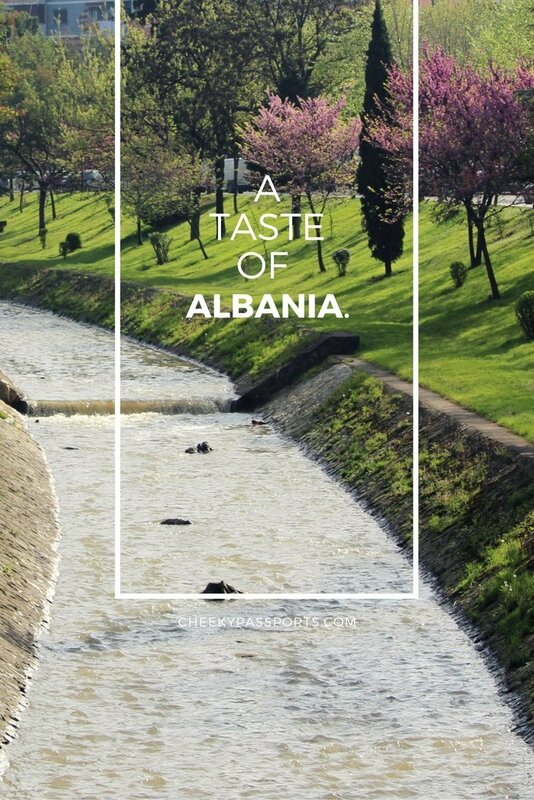 Read more about our experience in this country as we share a taste of Albania – our Albania travel guide. 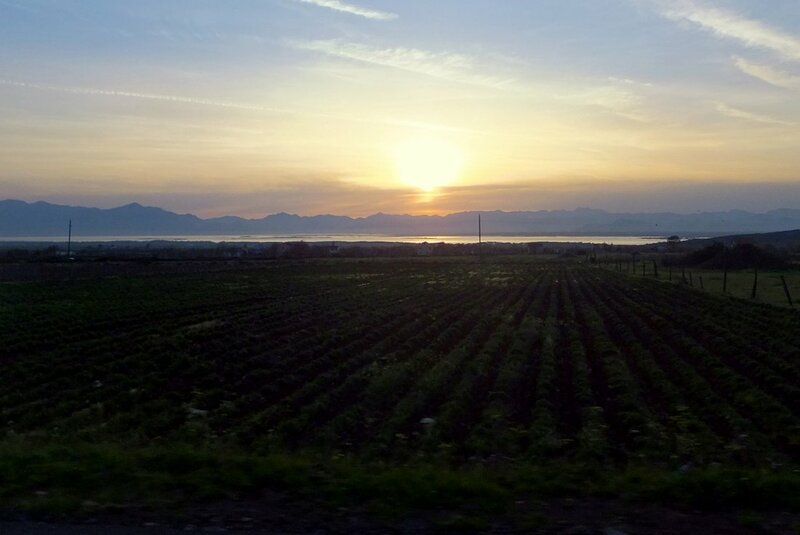 As we drove across the Montenegro border and into the country we were greeted by a gorgeous sunset which instilled a warm glow to the fields and the lake below the mountains. There I was, wind in my hair thinking about how perfect Albania felt. That was before the first pothole (think massive crater), and the second and third. Then there were the goats and donkeys in the middle of the motorway. When it got too dark to see, we realised that street lighting was non-existent, yet pedestrians seemed to be casually walking around the busy highway as though oblivious to the cars speeding along. Some were even jogging!! Albania, lovingly called Shqipëria by Albanians, is very poorly developed, but its natural beauty more than makes up for that, and we felt that discovering it now made for a better adventure. I have no doubt that tourism in Albania will pick up and I believe that it has the potential to become a more popular destination than its Balkan neighbours. The majority of Albanians are Muslim but religion does not seem to play an important part in the culture and as the caretaker of a Berat church told us, “in Albania, Muslim, Christian, no problem, we even do… [pretending to put a ring on his finger]”, thus pointing out that inter-faith marriages are not uncommon. Albanian is the official language and we found that English is not widely understood but we did manage to communicate using Italian sometimes so we never encountered a real language barrier. 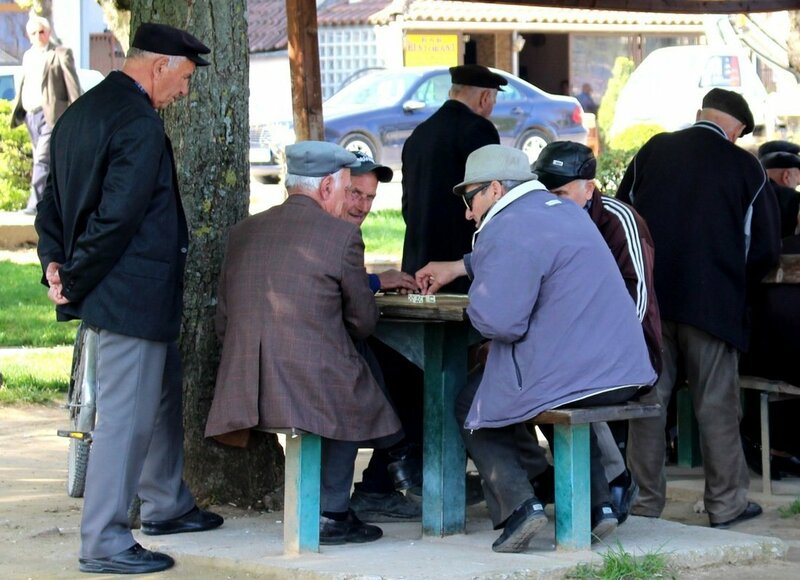 Even in cases where it was difficult to make ourselves understood, we found that Albanian people were so warm and friendly that they would really go out of their way to try help us despite not understanding us. 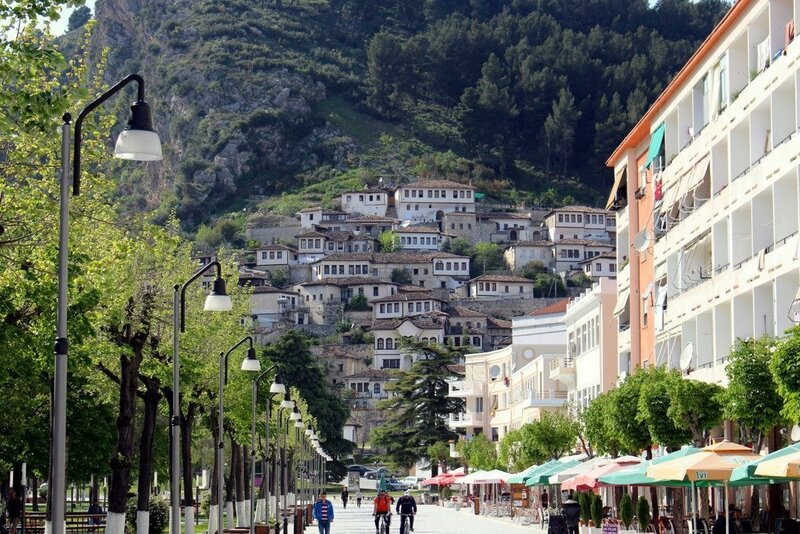 Albania has a colourful history – it was cut off from the rest of the world during Enver Hoxha’s 40-year leadership and the country is clearly still catching up with the rest of Europe. 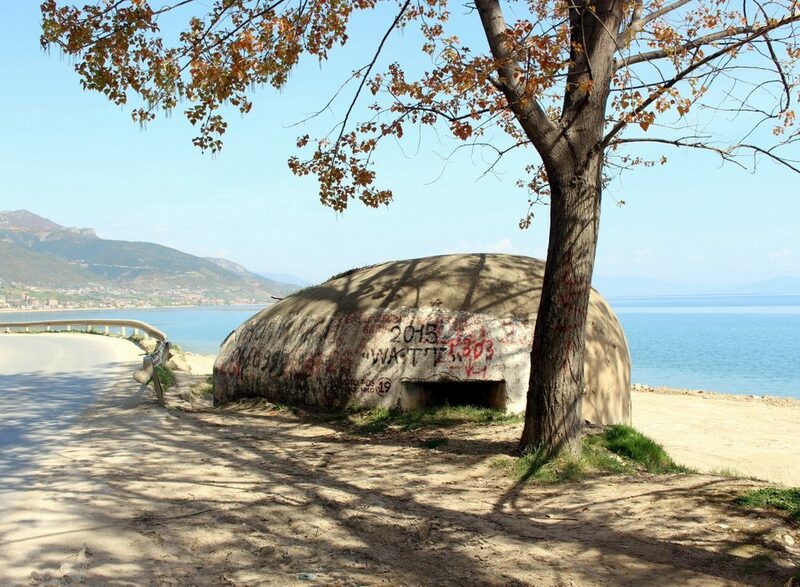 A very visible legacy from the Hoxha years are the 750,000 bunkers that dot the landscape (one for every four people), now lying mostly abandoned. 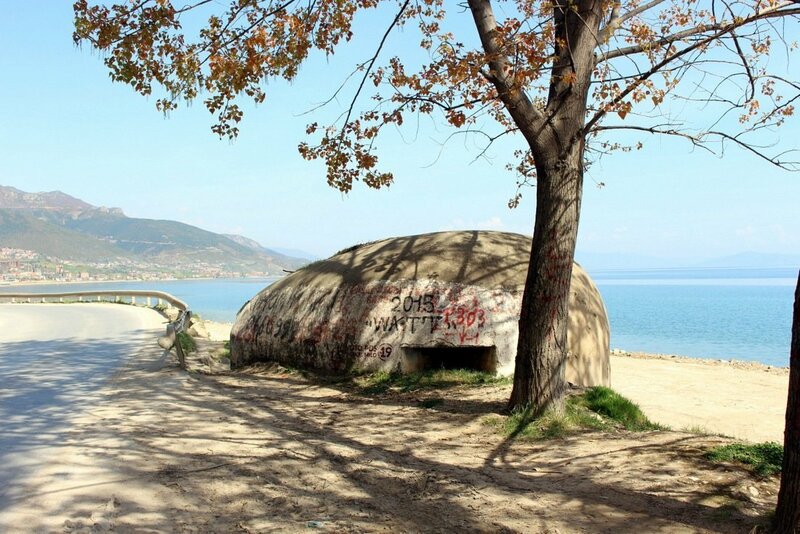 The concrete mushrooms are a result of the dictator’s fear of foreign attack from Albania’s neighbours which ultimately never happened. Apparently Hoxha asked the chief engineer who designed the prototype bunker to go stand within it whilst a tank was fired at it. When he emerged unscathed, all the rest were built up and and today, the almost indestructible little forts are slowly sinking into the ground – relics of a dictator’s paranoid imagination. Unfortunately, the sight of garbage on the roads or riverbanks is common. The infrastructure has not been able to keep up with an increase in consumerism and the idea of waste management seems alien to the country. 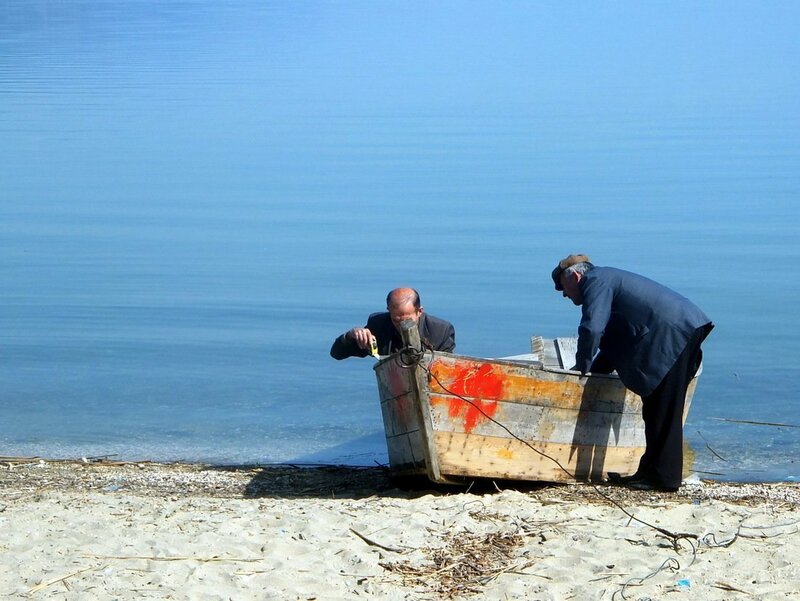 If Albania wants to develop its tourism potential, this is one of the issues it should focus on solving. There seems to be an nationwide obsession with Mercedes Benz cars, some of which may be of dubious origin. Probably more than 50% of the cars that we saw on the road (motorways leading to cities or dirt roads in villages) were Mercs – they are impossible to miss. 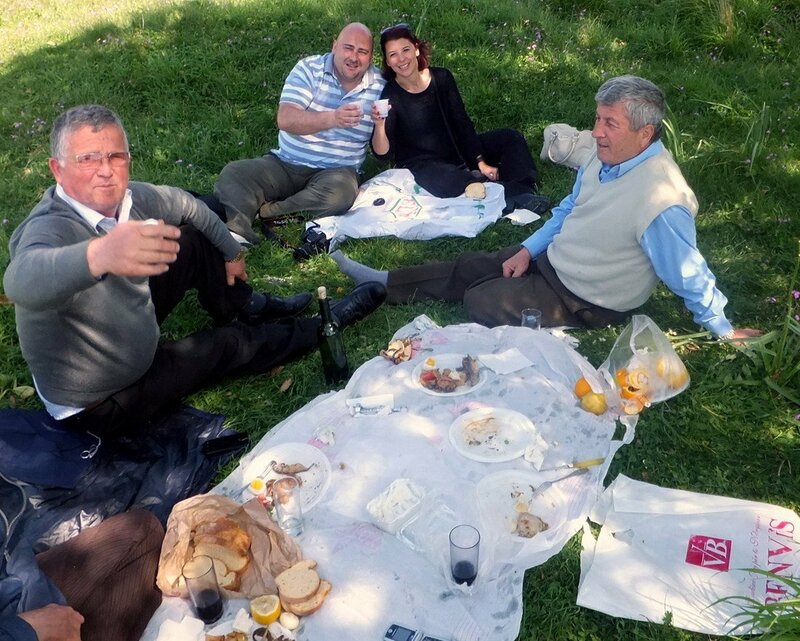 Tirana in my opinion is very forgettable (although Nikki actually liked it and wished to spend more time there), but Berat and Pogradec are beautiful and we had the best time ever picnicking with the locals in Apollonia. The hilly and rural landscape is simply stunning which made our drives very scenic and were it not for the very poor condition of the roads, they would have even been pleasant. The food in Albania is fantastic. Mediterranean and Balkan influences result in an east-meets-west type cuisine which we couldn’t get enough of. Italian, Greek and Turkish cooking techniques have all influenced Albania’s style culminating in some very tasty yet often simple dishes usually reflecting availability of local ingredients sourced from the fertile country. 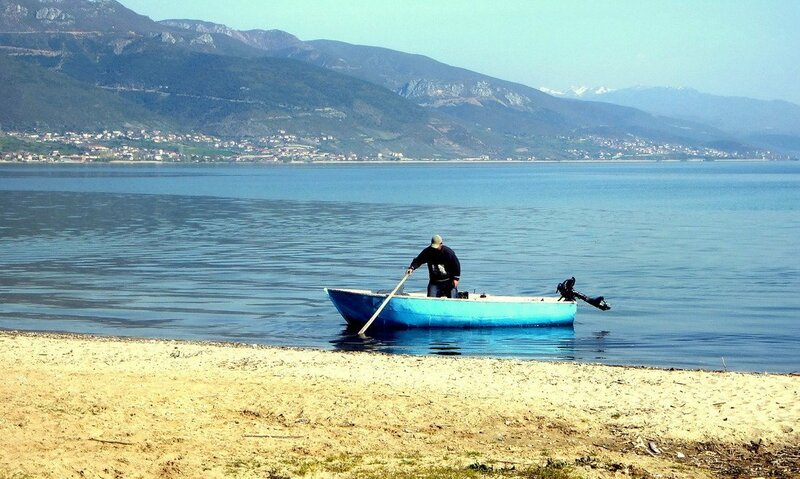 Fish and shellfish dishes are abundant especially on the coast and close to Lake Ohrid. 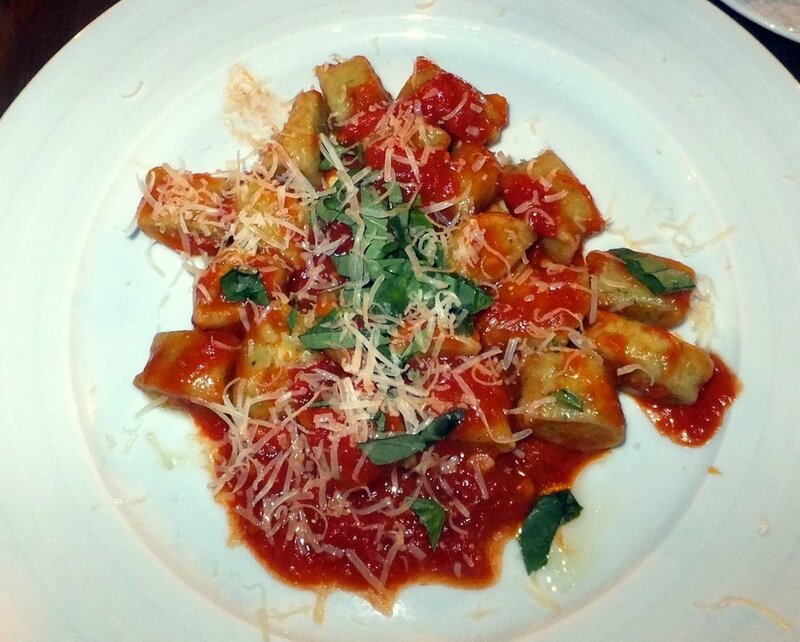 Pasta, pizza and gnocchi can be found at most restaurants and for the most part were as authentic and tasty as the Italian version. Turkish and Eastern dishes such as hummus and baba ghanoush were easy to find, and Balkan staples such as burek are found on every street corner. All in all we loved our time in Albania, and hope to return to discover more of it, especially the southern part of the country which we didn’t get to see at all. Albania we will be back – until next time! The border-crossing from Montenegro (Bozaj) to Albania (Han i Hotit) was very smooth and took less than five minutes. 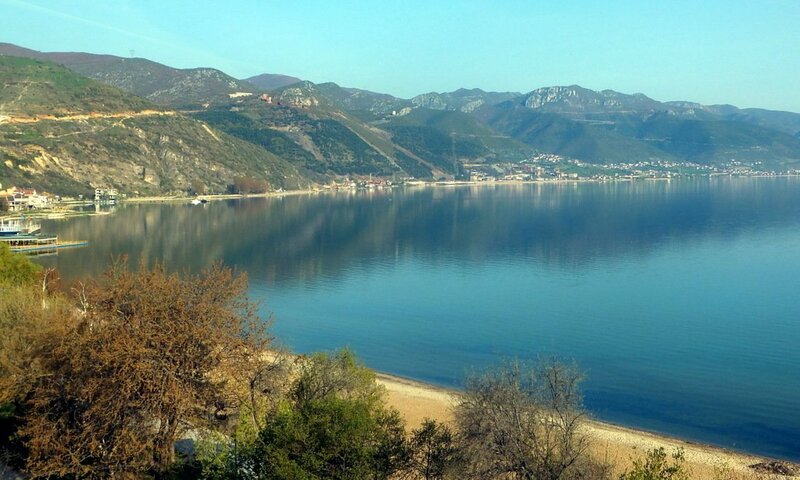 The border is right next to the beautiful Lake Shkoder making the drive to and out of it very picturesque. Despite feeling that the country is still very raw and in most parts unlit, at no point did we ever feel unsafe even when walking around at night. We stayed at a little guesthouse in central Tirana run by a sweet older couple who advertised free parking. When we got there and asked where to park the car, the owner led us to the makeshift corrugated metal door of a construction site situated about twenty metres up the road and knocked loudly. Another man opened and after some discussion it was agreed that we would be allowed to park amid the construction rubble for the night… not quite what we expected! The car was covered in building dust and mud the next morning as the builders worked around it but hey, it was still intact so that was ok I guess! We also spent a night in a hotel in Pogradec which seemed to be full of French tourists. The room had a beautiful lake view and breakfast was plentiful although you had to pay extra for coffee. One huge adventure and takes some getting used to. Luckily, being from Malta, we did not find it as traumatic, having been taught how to drive in similar circumstances. Car drivers, cyclists, pedestrians and goats move along unlit motorways without a care as to getting hit. Cyclists (usually old men wearing hats) crossed our path several times and we often had to swerve hard to avoid them. It is not uncommon for people to walk along the highways at night either, and with no street lighting, you only get a visual when you are very close. By the way the little ladders propped against the crash barriers in the middle of the motorways are for people to climb and cross over from one carriageway onto the other. Traffic police are found at every gas station (the only part of the street which is lit up) and if you are overspeeding, you need to slow down at that point because you will definitely be pulled over. This actually happened to us but we were let off with a warning after the police officer realised that we were Maltese tourists driving a Croatian rental car who did not understand Albanian, and that filling up the complicated paperwork for a fine was just going to be too much work! Amazingly helpful, kind and hospitable. Being from Malta, an island close to Italy, we felt that they warmed up to us very quickly. Not many spoke English but we got along by speaking Italian wherever possible. Very fast and widely available at all accommodation, restaurants and bars. 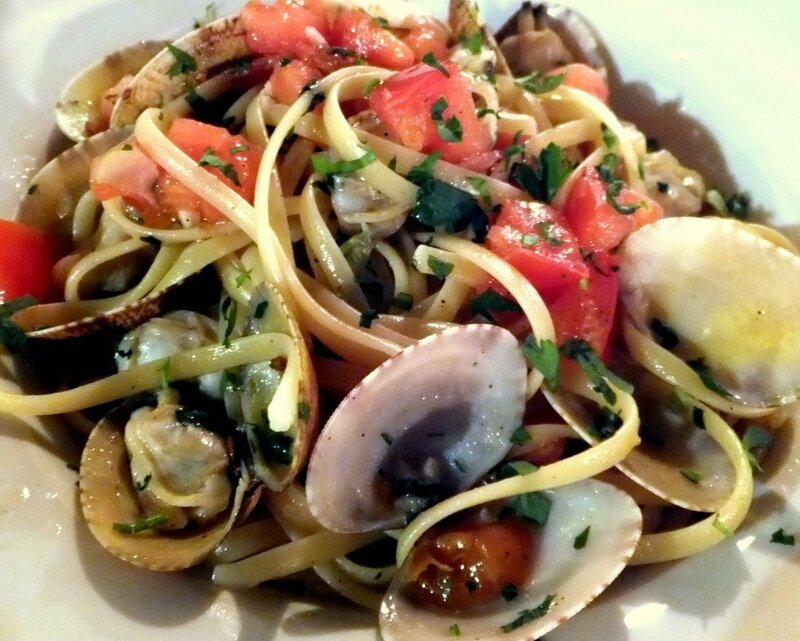 Italian and Greek food is widespread, and very good! A meal at a decent restaurant costs about 33% of what you would pay for a similar meal in western Europe.